Product prices and availability are accurate as of 2019-04-22 23:29:44 UTC and are subject to change. Any price and availability information displayed on http://www.amazon.com/ at the time of purchase will apply to the purchase of this product. 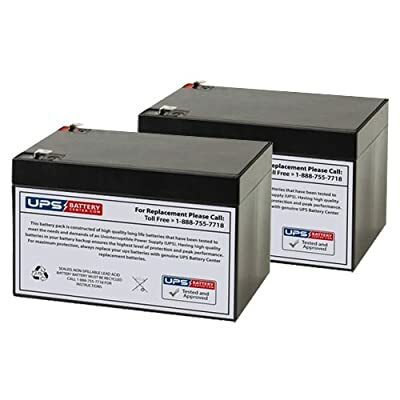 The Variflex Stinger replacement battery set is made using high quality rechargeable sealed lead acid batteries that are manufactured to provide excellent performance and long service life. This battery set meets or exceeds the original manufacturer's specifications. This battery set is maintenance free, non-spillable valve regulated sealed lead acid batteries. Our batteries are new and always fresh stock. The Variflex Stinger replacement battery set is covered by our industry leading 1 year replacement warranty.